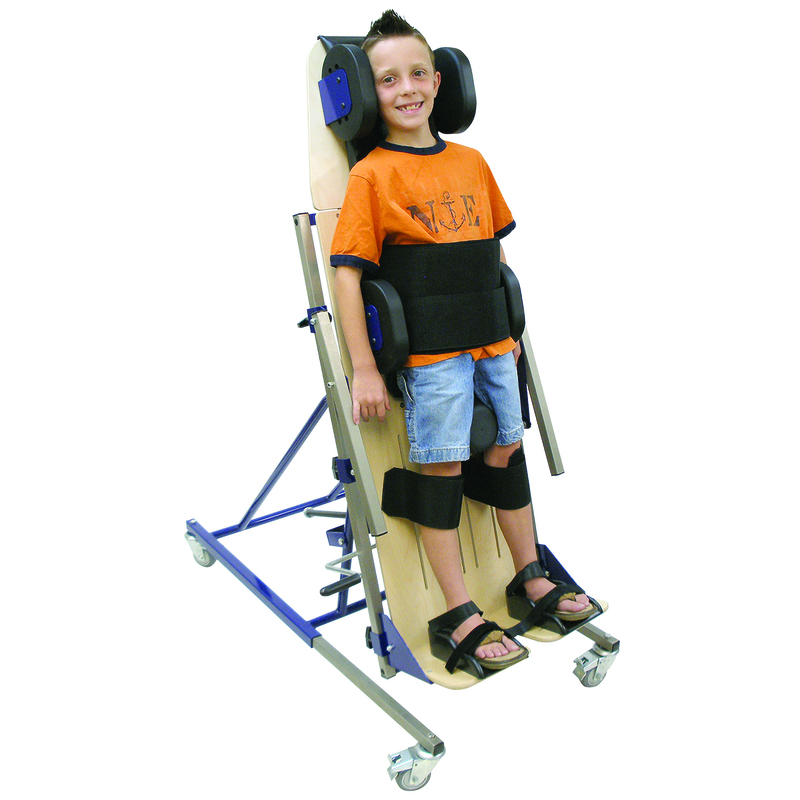 Durable stander has 4 adjustable support points: chest, pelvis, knee, foot. Tray is included. Height adjustable child crawler promotes crawling movements when patients need added body support. Used to treat children who have difficulty tolerating movement. Benefits of standing with convenient mobility. Padded supports provide flexibility and positioning. Foot plate accommodates leg length discrepancies. Child 30-37", up to 50 pounds. Position with adjustable main board, footboards, support blocks, foot plates, 25-48", 100 pounds. Height/angle adjustable tray is included. Board tilts from vertical to horizontal and can be secured at any in between angle. Supports child at head, trunk, pelvis, knees and feet. Headrest and armrest fold down, 30-50", 100 pounds. Adjustable tray is included.